Evolve Housing is very excited to announce that we have been shortlisted for the prestigious Optus My Business Awards. We have been chosen as finalists in all three categories that we entered – Not-For-Profit Business of the Year, Sustainability Program of the Year, and Businesswoman of the Year. 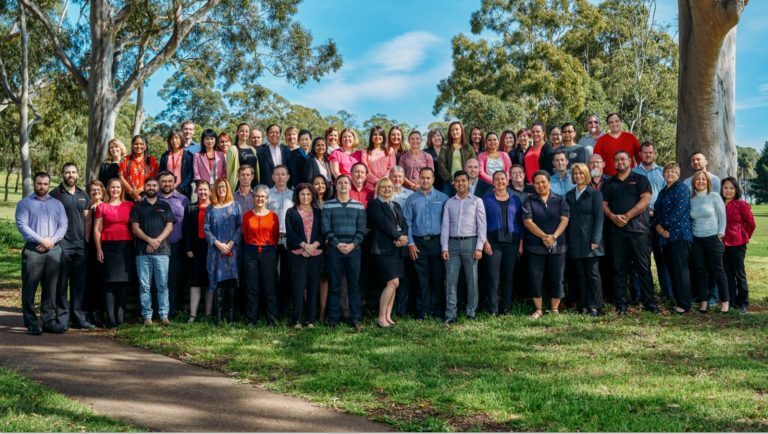 As a leader in the community housing sector, Evolve Housing offers housing solutions to 7,500 Australians who may have otherwise faced homelessness and we are honoured that this important work is being recognised. Our Sustainability Program of the Year nomination centres on our Evolving Green Energy Action initiative, which recently won in its category at the 2018 Western Sydney Awards for Business Excellence. Evolving Green has achieved amazing results so far, delivering annual savings of $634 per household to our low-income residents, and saving 745,000 kWh of energy per year – the equivalent of taking 217 cars off the road. We are also very proud to support our CEO and Managing Director Andrea Galloway, who is in the running to be awarded Businesswoman of the Year. Andrea has more than 25 years of executive leadership experience, and has led Evolve Housing through an unrivalled period of growth and innovation since she began as CEO in 2011. We would like to thank the Optus My Business Awards team for shortlisting us and we look forward to attending the awards dinner on Friday 9 November. We would also like to thank our staff, Board members and partners for their incredible dedication to making Evolve such an impactful, purpose-driven and commercially minded organisation. For more information about the Optus My Business Awards, click here.